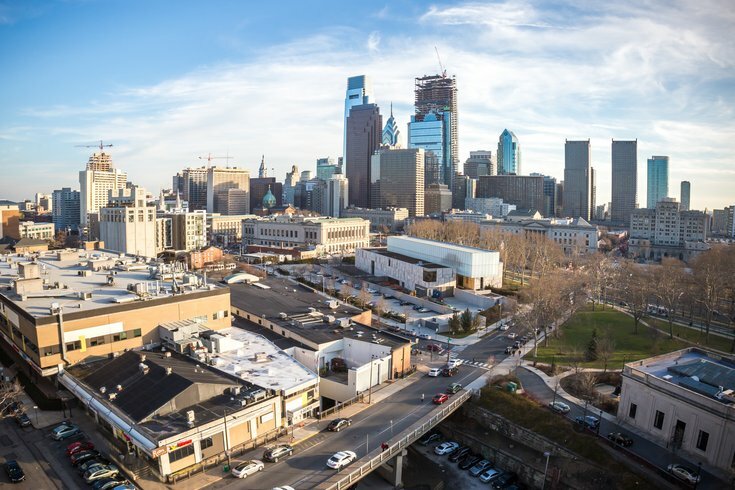 The Philadelphia skyline seen from the 'Dalian on the Park' building above Whole Foods Market near the Benjamin Franklin Parkway. Earlier this year, advertising agency Cliff Ross stirred up some controversy when it released its so-called North Philly font, one of several typefaces released that were inspired by a Philadelphia neighborhood. After heavy backlash for its depiction of letters that looked to mimic pieces of wooden boards nailed together, the North Philly font was made no longer available. Do these Philly-inspired fonts do your neighborhood proud? Ron Tinsley, who grew up in North Philly and is now the co-founder of branding agency Prophetik Soul, decided to make his own font inspired by his hometown. This time, the font meant to reflect North Philly draws from the area’s truss bridges to create what Tinsley named the “Truss Me” font. Ron Tinsley's North Philadelphia font design. 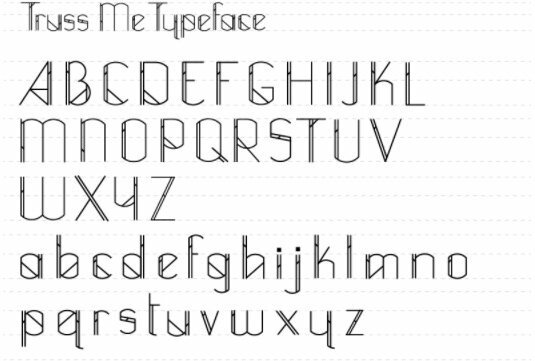 “I have been wanting to design a typeface since I was little. I was that kid who dreamt about letterforms. Yes, that was me!” Tinsley wrote on the Prophetik Soul blog. Later, as a teen, Tinsley attended a vocational school where he learned calligraphy. Tinsley told Technical.ly that he is “well aware of the stereotypes” associated with North Philly, but the font created by Cliff Ross nonetheless sat uneasily with him. “When I saw the explanation for the font, it was clear to me that the person did not grow up or live there," he said. Tinsley's font is not yet available to download, but if you're looking for a fix of unique lettering, you can check out the first set of designs from the PHL OpenType project. PHLDesign is collecting graphics from artists around the city to make their own neighborhood-inspired fonts that are pay-what-you-wish and benefit local charities.